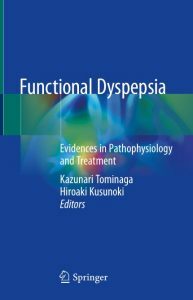 The research and outcomes presented in this book gather evidence concerning both the pathogenesis and treatment of functional dyspepsia. It provides the latest information on this common non-organic disease, indicating its characteristic pathogenesis based on the brain-gut interaction and micro-environment and evidence gleaned from clinical treatment. Since the pathogenesis is associated with psychology, neurology, endocrinology and bacteriology in addition to gastroenterological physiology, it is often intractable and finding a suitable treatment rationale is challenging. 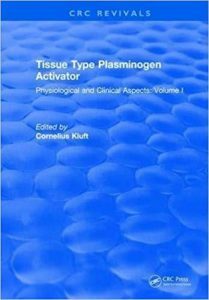 Furthermore, the pathogenesis varies around the world and the efficacy of treatment using standard drugs varies among different populations worldwide; accordingly, this book highlights evidence gained in clinical trials in Japan. 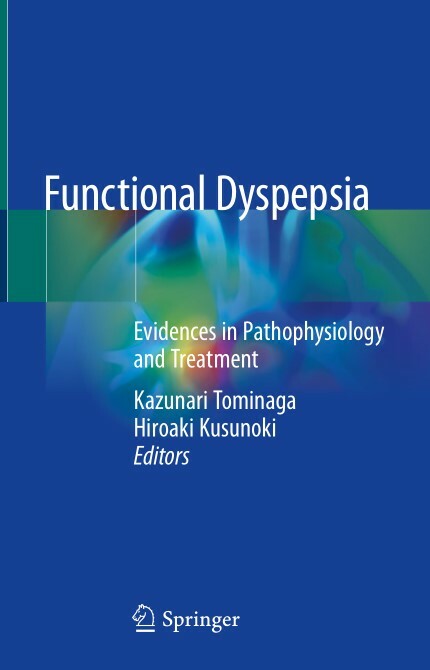 Functional Dyspepsia is a milestone produced by respected experts. Addressing unique topics and new findings of treatment including challenging and/or future rationales, it offers an invaluable resource for general clinicians, gastroenterologists, and basic researchers alike. Looking for a quick and effective way to revise and test your knowledge? 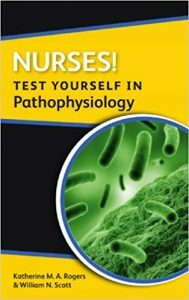 This handy book is the essential self-test resource to help nurses revise and prepare for their pathophysiology exams. 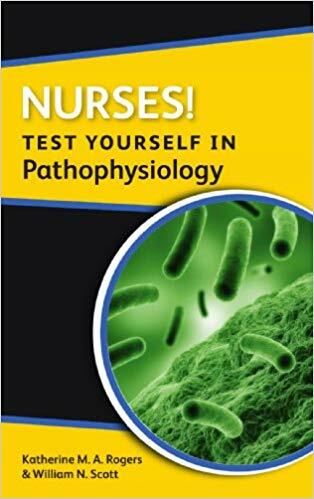 Written by lecturers at one of the UK’s top nursing schools, this test book is sure to help you improve your results – and tackle your exams with confidence! 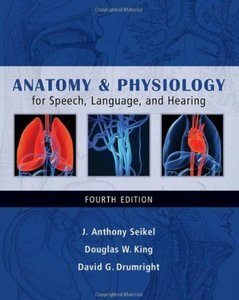 Now in its fourth edition, ANATOMY AND PHYSIOLOGY FOR SPEECH, LANGUAGE AND HEARING, International Edition remains a highly acclaimed tool for instilling a solid foundation in the anatomical and physiological principles that pertain to the communication sciences and disorders disciplines. Updated to reflect the most current trends in the field, the book integrates clinical information with everyday experiences to underscore the relevance of anatomy and physiology to the speech, language, and hearing systems. Its effectiveness is enhanced with innovative student practice software, which provides multiple tutorial and quizzing sections and provides students with the final pieces needed to master the book’s content. 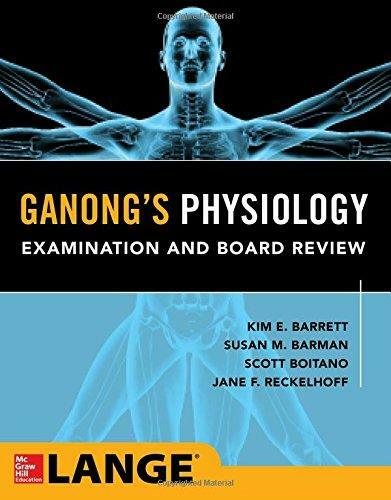 Excel on medical physiology course exams and the USMLE® with the only study guide derived from the field’s cornerstone textMore than 350 Q&A with detailed answer explanations!Based on content from Ganong’s Review of Medical Physiology, Twenty-Fifth Edition, the world’s leading text on human physiology, this authoritative new resource delivers a clear, concise review of the subject’s fundamental concepts, backed by more than 350 Q&A with detailed answer explanations, and numerous full-color illustrations. 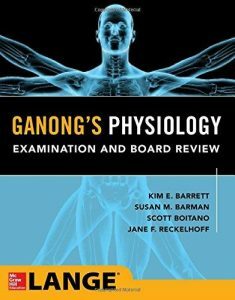 With the goal of creating a targeted, yet comprehensive review of medical physiology for the USMLE® and coursework, the authors of this powerful new resource have streamlined the content of the Ganong’s Review of Medical Physiology, Twenty-Fifth Edition to facilitate study and learning, carefully retaining the most high-yield concepts and illustrations. The authors have skillfully reworked the self-study questions from the parent text so they are consistent with the clinical vignette style found on the USMLE®, and have also included many new questions. In addition, every question comes with a comprehensive explanation of why the correct answer is right or wrong, and why the distractors are wrong. This fosters a conceptual understanding of physiology, rather than simply reinforcing memorization. You will also find valuable study aids such as learning objectives, key terms, and end-of-chapter summaries and questions. 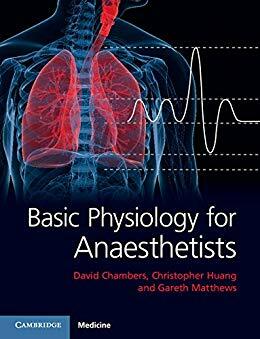 If your study requires a succinct, well-illustrated review of medical physiology – one backed by the authority of the field’s most respected textbook and enhanced by hundreds of Q&A with outstanding explanations – your search ends here. WHATS NEW Content has been made precise and to the point. Reduction of needless content without compromising on the essence of the book. 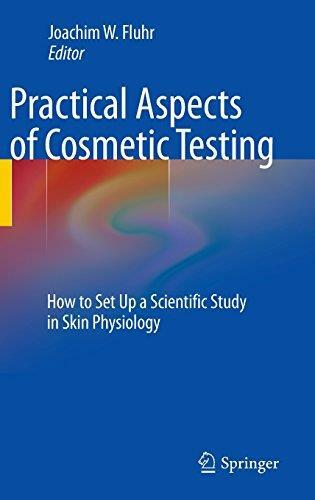 Includes recent developments in the field of physiology. 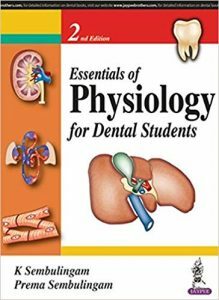 Discusses Applied Physiology of various topics. Use of excellent color combinations to enhance readability and concentration. Self-explanatory and reproducible colourful diagrams. Explanation of the topics is backed up with flowcharts and tables for pleasurable and stress-free reading. List of topics provided in the beginning of every chapter. Long as well as short questions are given at the end of each section for exam preparations and follow-up. Key Features The primary aim of the book is to meet the needs of the students of dental, physiotherapy and other paramedical and health science courses. Every disease condition is explained through definition, causes, symptoms, prevention and treatment. 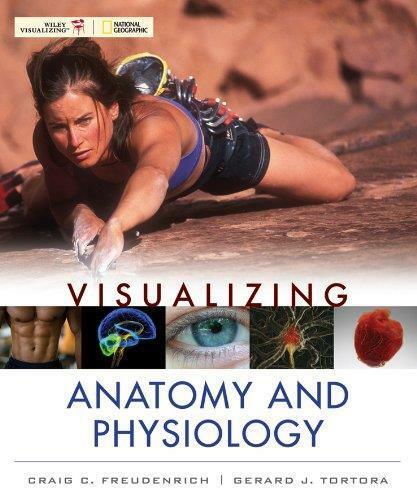 Visualizing Anatomy and Physiology will be a visually powerful textbook, illustrated for maximum pedagogical effect, up-to-the-minute in all aspects of anatomical science and physiology, and integrated with its accompanying digital media. It emphasizes critical thinking and integrates health and diseases and links them to the everyday life of the reader. 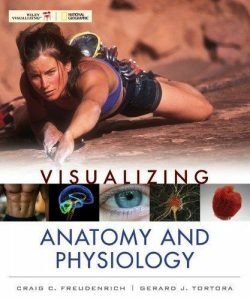 Understanding precisely what an anatomical structure does and how its shape enables this function helps the reader learn and remember the myriad details of anatomy. This book is made possible by the enthusiastic contributions of the authors of the chapters. They have been invited from young and active scientists in the field of t-PA research. I am grateful for their contribution and for the fact that all accepted the specifications of their chapter in order to obtain a structured book. 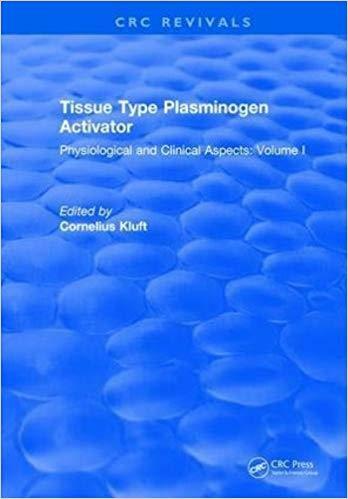 Inevitably, some overlap does exist; on the one hand to enable controversial or unsettled areas to be discussed by the different experts with a different approach and background.It is a particular pleasure and honor that Dr. T. Astrup, as an eye-witness and essential contributor to the history of t-PA discovery and research, gives a unique account of the history of t-PA research in the first chapter of the book. This highly readable and comprehensive overview of psychophysiology provides information regarding the anatomy and physiology of various body systems, methods of recording their activity, and ways in which these measures relate to human behavior. Biofeedback applications are contained in a separate chapter and discussions of stress management, job strain, and personality factors that affect cardiovascular reactivity are presented. There is much of interest here to the student, researcher, and clinician in behavioral medicine, ergonomics, emotion, cognitive neuroscience, neuropsychology, and health psychology. Each chapter is a self-contained unit allowing instructors to customize the presentation of the material. 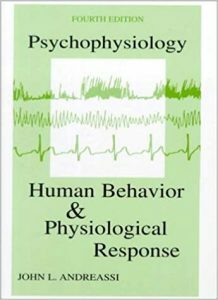 With over 1,700 citations, Andreassi’s Psychophysiology is the definitive text in the field. An instructor’s manual is now available. 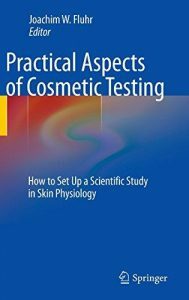 Based on the book, the manual is primarily a test bank to be used in giving examinations to students during the teaching of a course. Both multiple-choice and essay questions have been provided, along with lists of key terms and ideas. These can be used for definition-type questions and to highlight important concepts, as well as alerting the instructor to important terms and ideas that they may want to cover in lectures. Sample syllabi are provided for teaching a course at both undergraduate and graduate levels to help the instructor who is preparing a course for the first time. A number of possible laboratory exercises are also provided that can be carried out in conjunction with teaching the course.